We welcomed back Frank White to discuss his latest book "The Cosma Hypothesis: Implications of the Overview Effect." Frank talked about creating a space philosophy and doing human spaceflight right by setting up 16 content-specific human spaceflight task forces for fact finding and eventual decision meeting. We started our one segment 65 minute discussion by my asking our guest for the true meaning of the word "Cosma" which is the title of his new book. Frank spent a few minutes telling us how and why he created the word and how it should be used. Cosma came up multiple times in our discussion plus it is the main part of the title of his new book so I urge you to pay attention to what he said about the word and the need for him to create such a word. Let us know what you think by posting comments about Cosma on the blog. Frank and I spent considerable time talking about his new book which focused on creating or developing a space philosophy for exploration and settlement to influence how we do space going forward. Several times during the our program Frank talked about how his space ideas have evolved from a concept of "just doing it" regarding getting into space to now making sure we "do space right!" Be sure to listen to what he meant by doing space right this time around. Again, let us know what you think by commenting on our blog. Other topics included a focus on space resources and commercial space exploitation. Frank talked about evolving past exploitation, citing a Columbus Day example from Columbus, Ohio. He also wondered where we might be 500 years from now in terms of being heroes or villains. He suggested the answer would be found in what we do with the space environment, what happens on Earth as part of our moving into space, and if we exploit space for commercial purposes or for a higher purpose. Don't miss this discussion which covered much of our program. It touched on space debris, nuclear power on Mars, and then ethics due to a question asked via email from listener Jack. Listen to what Jack said about ethics and why he thought what Frank and I were talking about was part of a larger than ethics picture and more productive. Once again, we would like to know what you think about this topic and the other topics we talked about on this show. Marshall called to remind us that the history that will be written in 500 years will be written by those in charge at that time. Frank and Marshall had a quite a talk about this fact. Marshall then reminded us that perception creates reality. He cited a few examples to support this statement. Frank kept stressing he wanted to start a dialog on these topics so I asked if he planned to have a blog for the book so people could dialog regarding the topics and issues raised in the book. For the record, we are only touching on a few of the topics in his book in this interview. As we moved toward the end of our hour together, I asked Frank what he meant in Part 2 of the book which focused on The Human Space Program. Note that when Frank talked about the Human Space Program, he was talking about something quite different than what most of us mean regarding HSF. He outlined his plan which he mentioned earlier. A plan for creating 16 content-specific task forces to address 16 areas of human spaceflight. He then wanted to create a type of central plan from the work of the task forces. He spoke about engaging space leaders such as Musk, Bezos and Branson in the final plan development. We spent the last part of our discussion focusing on Frank's concept of The Human Space Program so do listen carefully and let us know what you think. Better yet, get a copy of his book and read all of what he said about the plan so that you understand it in full. Since Frank brought up SpaceX, Virgin, Blue Origin and others, I asked if his Human Space Program had yet conducted outreach efforts to those companies and their star quality leaders, plus I asked about outreach to national space programs such as NASA, ESA and others. The answer was not yet. Later Frank mentioned a quote from one of the astronauts interviewed in the book, Al Sacco, Jr. Sacco told Frank about "The Astronaut's Secret." Listen up as Frank told us what the secret was. When I heard it, I offered some comments about it as I was familiar with the concept though not the terminology. Don't miss finding out about The Astronaut's Secret. 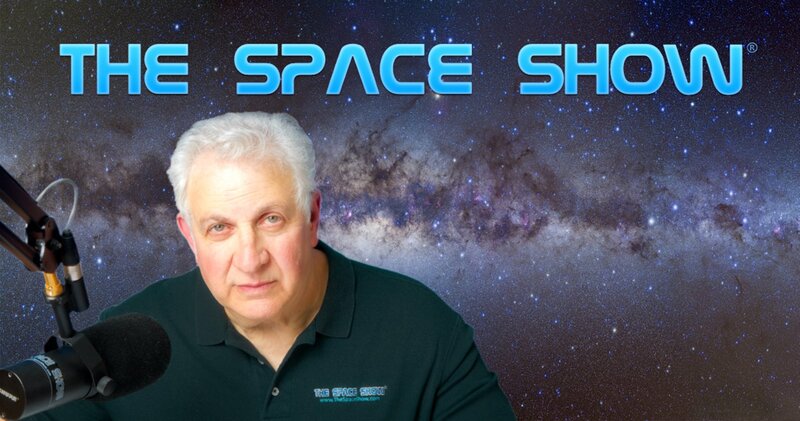 Before the program ended, a listener asked Frank about his personal influence over the years on space, The Overview Effect, and his concept of space exploration with his non-space friends and co-workers. This listener wanted to know if Frank had gone viral. Don't miss how Frank responded to this email question. Frank's phone died as we were about to do concluding thoughts. I was able to get him back on the phone via his cell phone as I wanted to hear his concluding comments. Once again, he talked about our purpose for doing space, benefits from space, and giving back, i.e. the Cosma Hypothesis. If you decide to buy the book and I hope you do, remember if you buy it through Amazon please use TSS Amazon portal or Smile site so that Amazon will donate a portion of your purchase back to us. For details on this, see https://www.onegiantleapfoundation.org/amazon.htm. Please post your comments/questions on our blog for this show. You can reach Frank White through me. Frank also has a blog worth following. Check it out here: https://overvieweffect3.blogspot.com.